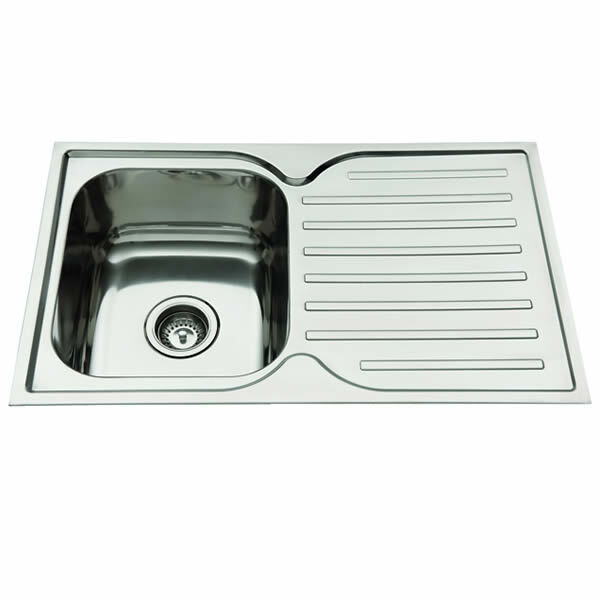 Ease your kitchen cleaning duties by installing this elegant Squareline 780 Kitchen Sink offered by Everhard. 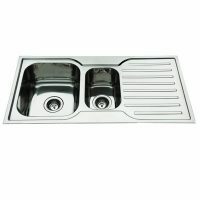 A single bowl sink with a capacity of 22L, this kitchen sink is ideally sized for most kitchens. Featuring bold looks in a stylish stainless steel finish, the Squareline 780 Kitchen Sink sports sleek straight lines with 90 degree corners and will add a lot of charm to your kitchen. 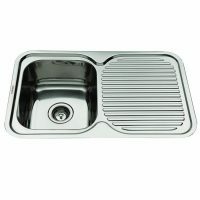 A heavy-duty and practical unit, this kitchen sink measures 780x480x180mm and is equipped with a single drainer. 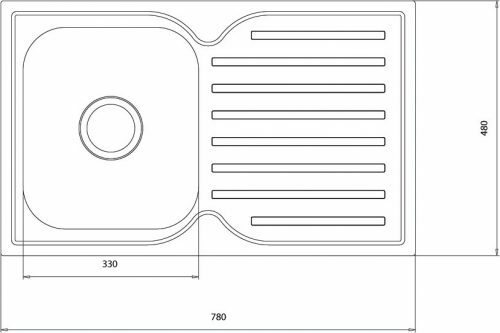 Available in either a right hand or left hand bowl configuration, the Squareline 780 can easily be installed in your kitchen. It also includes a 90mm Watermark approved chrome basket and suits a garbage disposer. 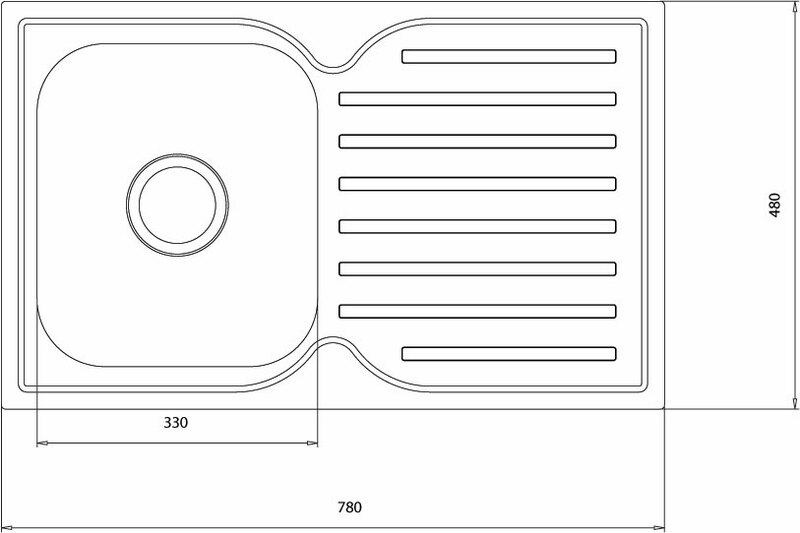 Everhard products are known for their fine quality and the Squareline 780 Kitchen Sink is no different. Manufactured using 304 grade stainless steel (0.8mm thick), this kitchen sink is built to withstand heavy usage. As a mark of quality, Everhard offers an impressive 25 year guarantee on the stainless steel bowl and a 1 year guarantee on other parts including accessories, plug and the waste. This quality Everhard kitchen sink will surly make your kitchen more functional. Buy the Squareline 780 Kitchen Sink from Ross’s Discount Home Centre today at an unbeatable price!